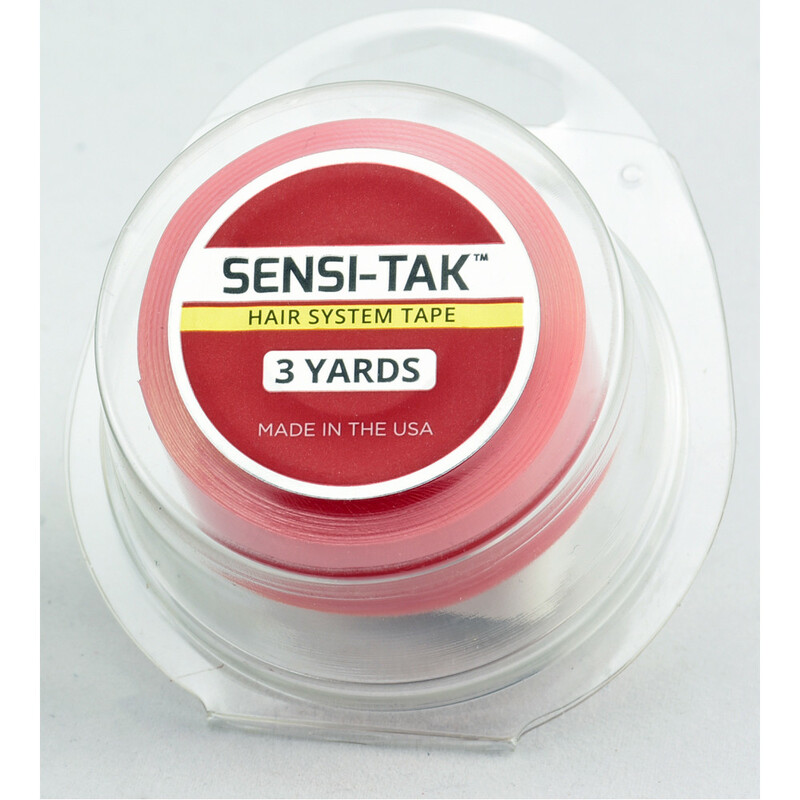 Red Adhesive Tape by Jon Renau measures 3 yards and helps secure your wig in place. It’s intended for use on the polyurethane material only. It’s an inch wide and can be cut to the desired length and shape with a pair of small scissors. You will replace your adhesive strips with every wear. Do not use for lace front applications -- Jon Renau's Blue Tape is for Lace Front use. For easy tape removal, pick up a bottle of Jon Renau's Lace Let Go.